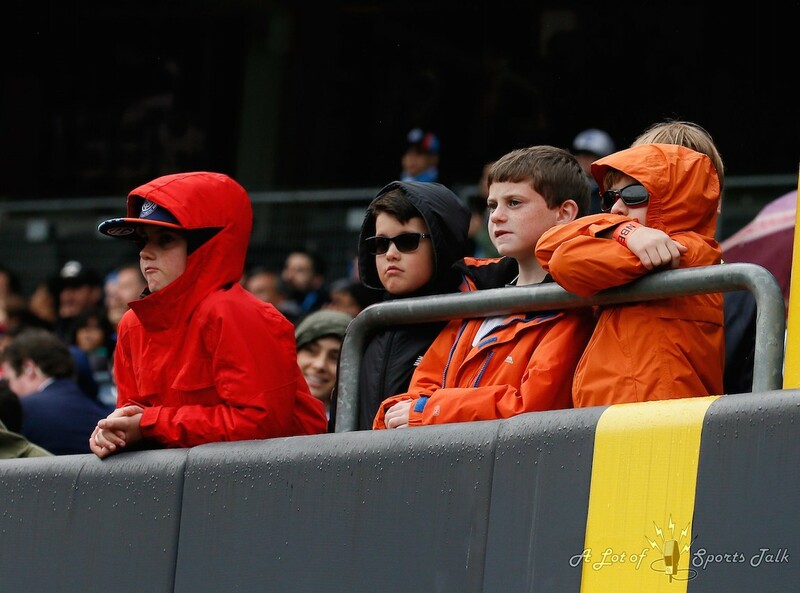 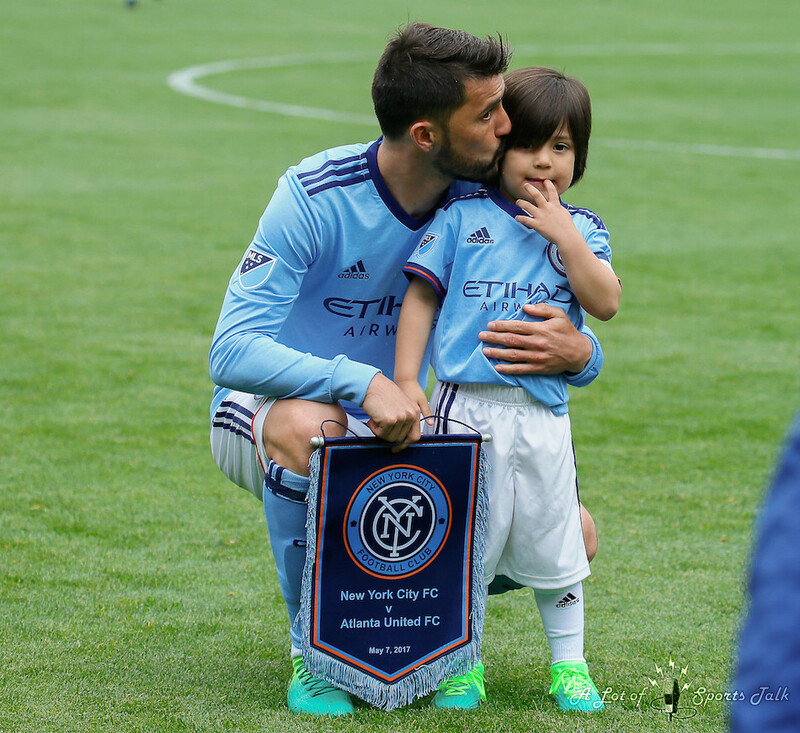 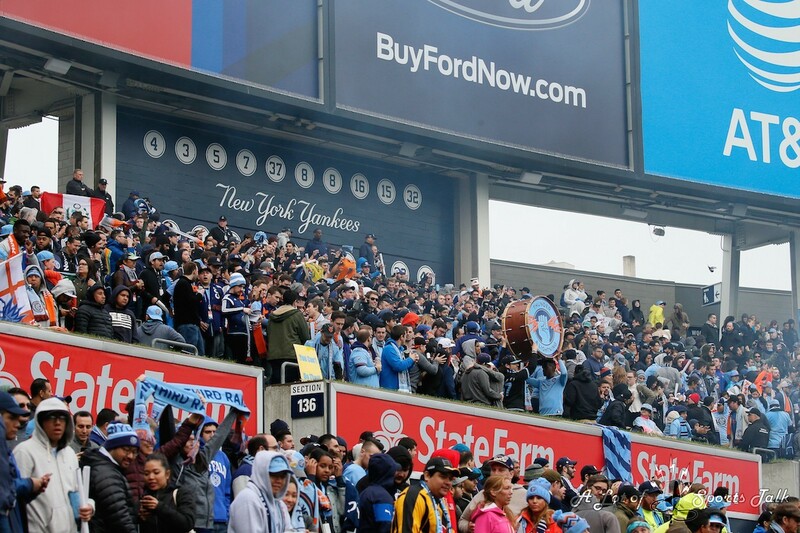 On Family Day, New York City FC made sure that the family outings that its fans decided to have at Yankee Stadium would be filled with happy memories of seeing their hometown team win another game. 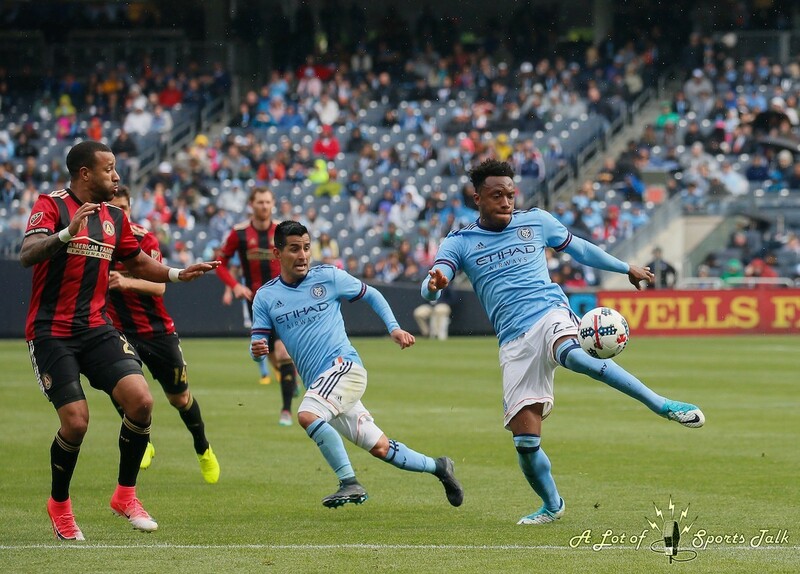 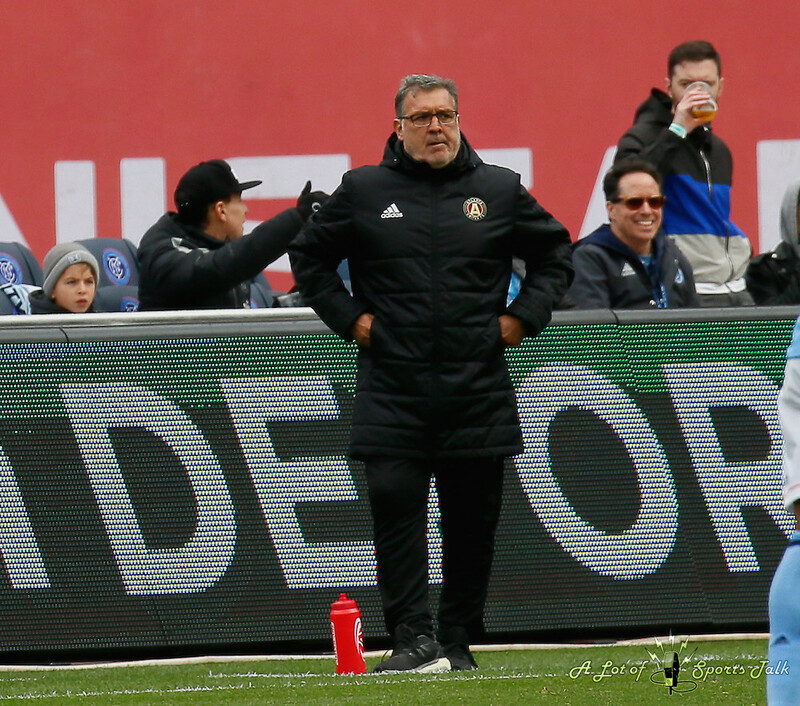 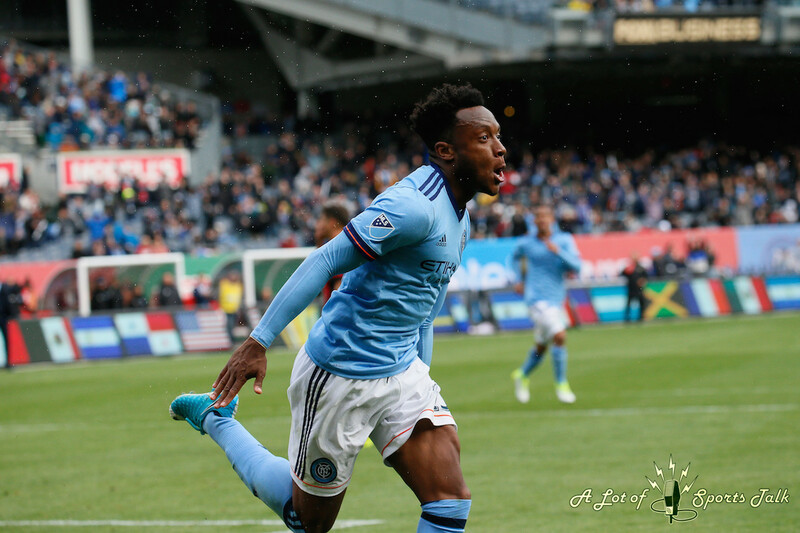 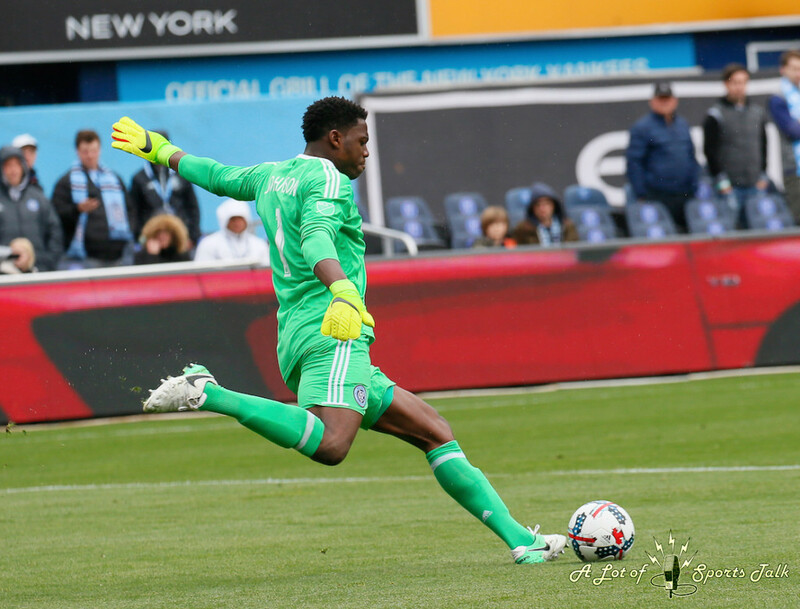 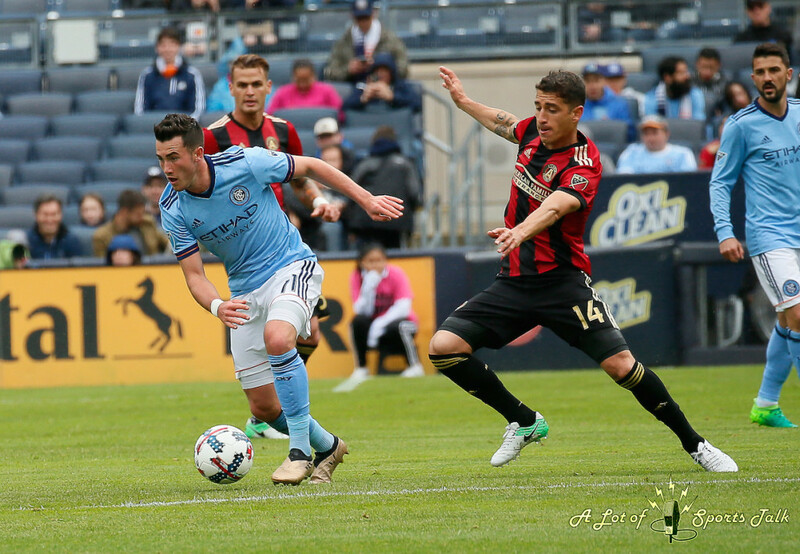 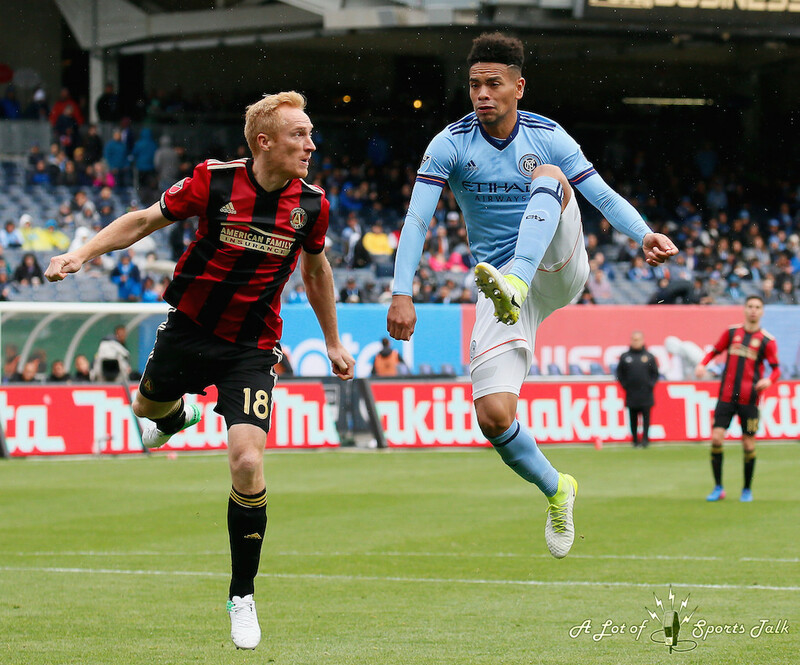 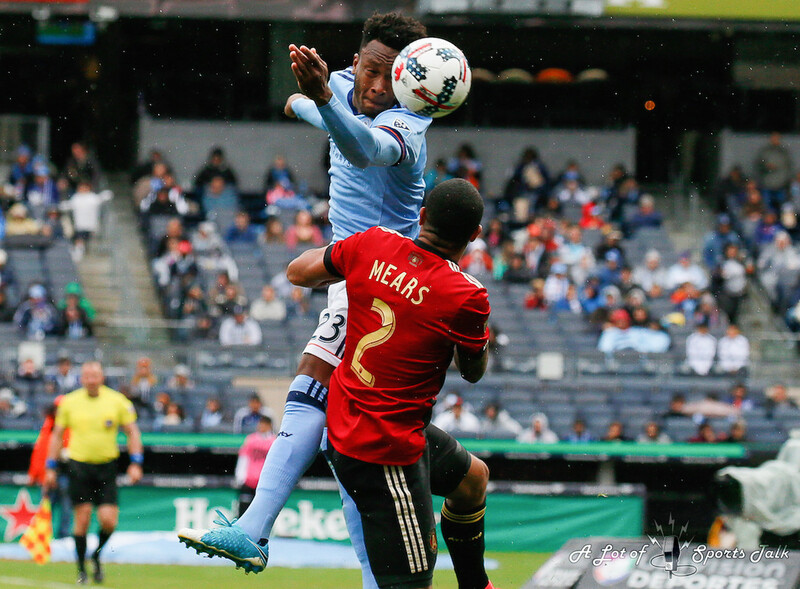 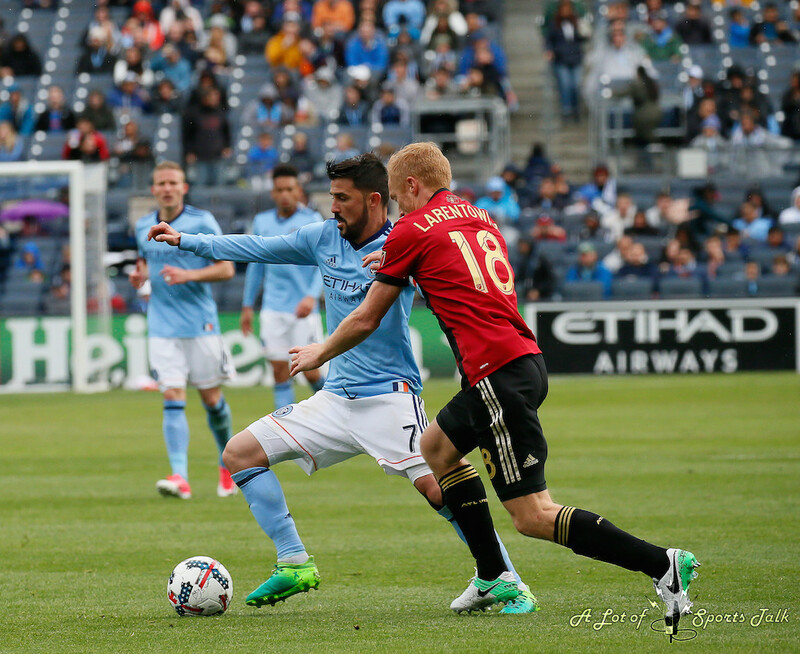 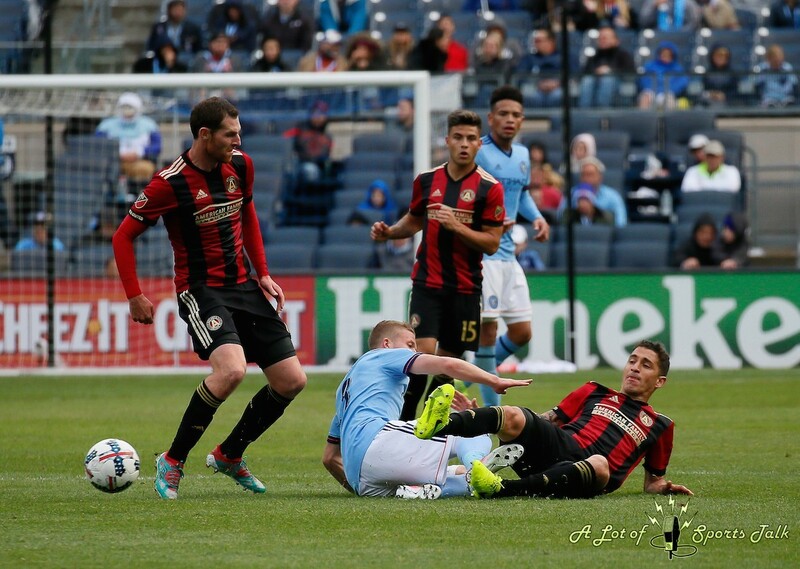 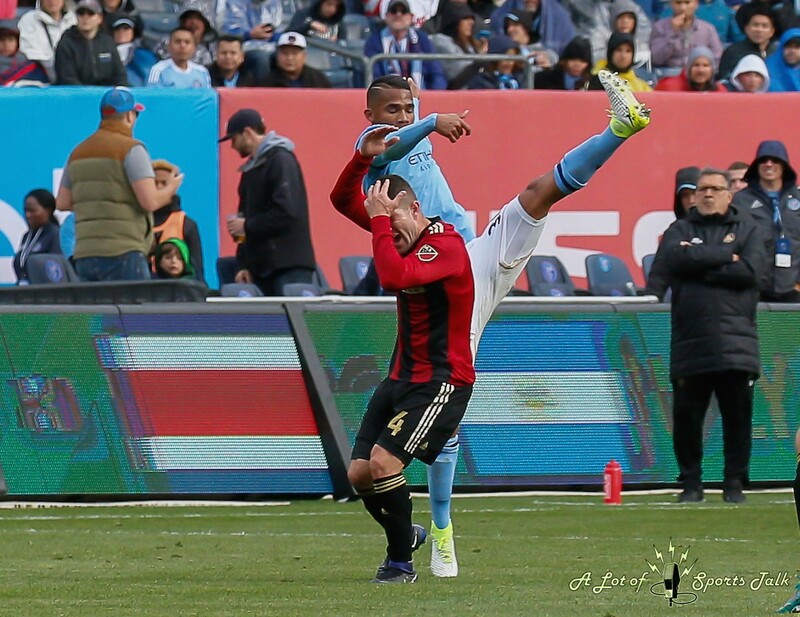 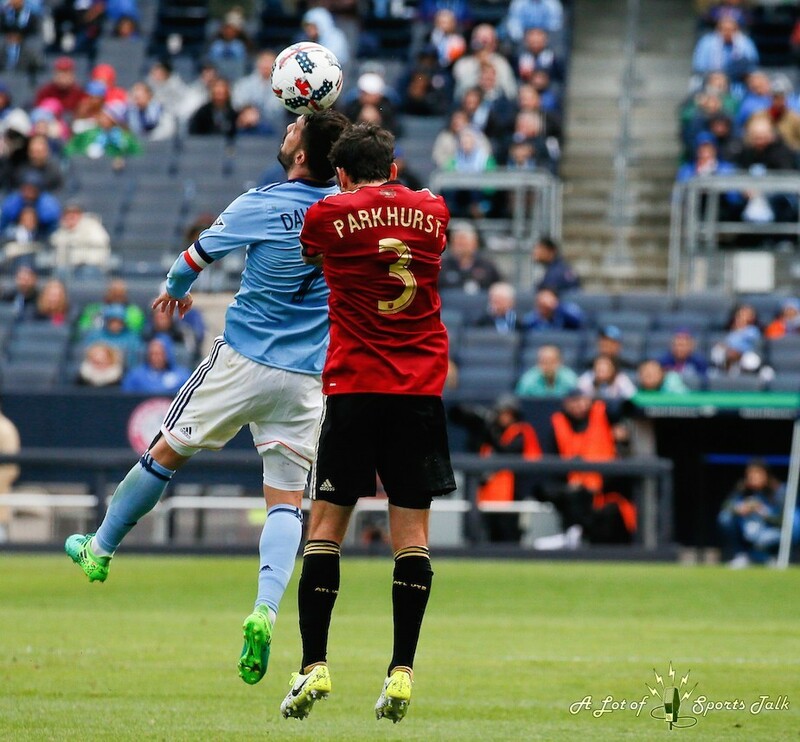 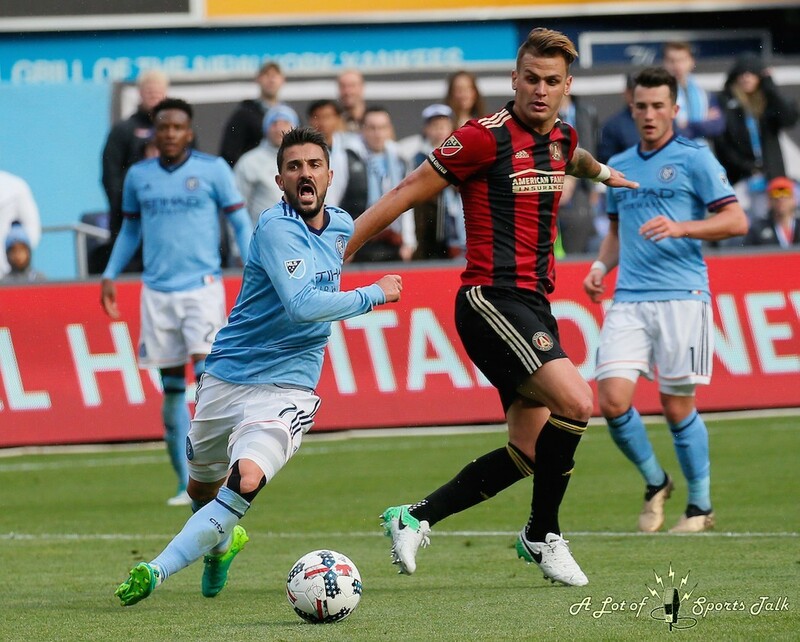 In a matchup of two of the better teams in the Eastern Conference, NYCFC came away with a 3-1 victory over the expansion Atlanta United FC to win its third game in four matches. 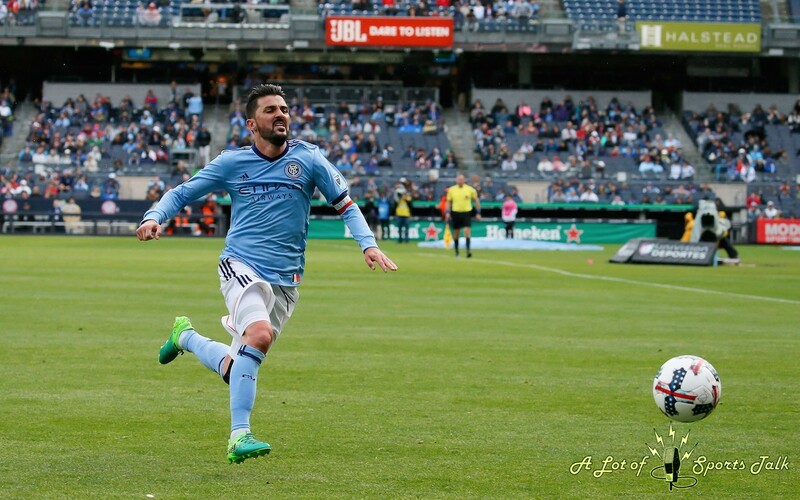 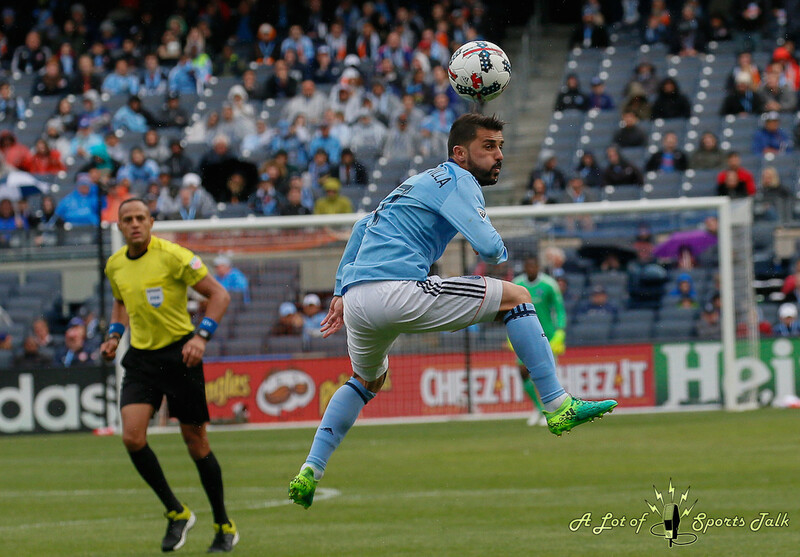 Many chances were created right from the outset with both clubs showing their flair, but it was the biggest star on the pitch, NYCFC forward David Villa, who put the Big Apple side up after 18 minutes with a wonderful right-footed strike from just inside the box for a 1-0 lead. 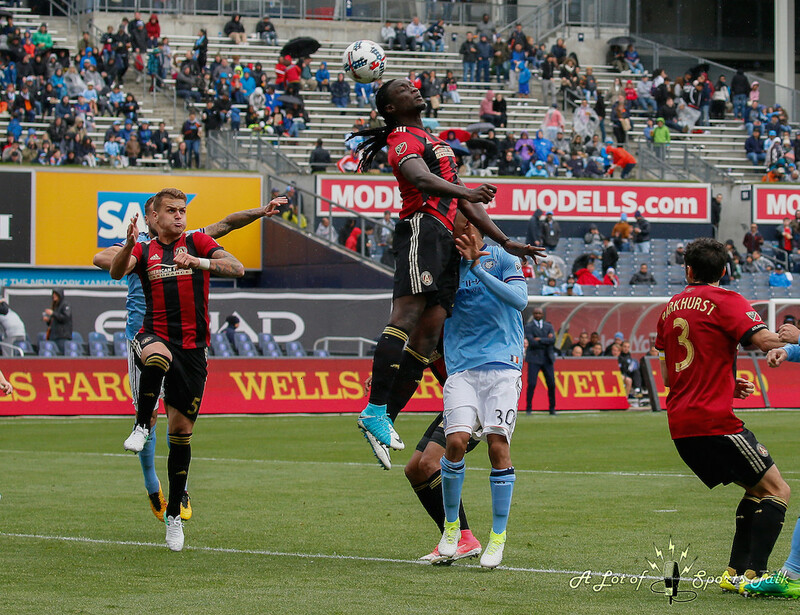 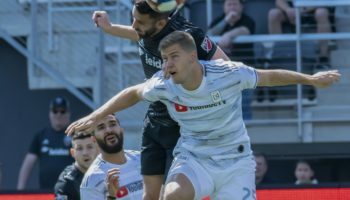 Atlanta United, who was clearly on the back foot for most of the first half, found an equalizer off the foot of Carlos Carmona in the 38th minute to tie the score, with the game level going into intermission. 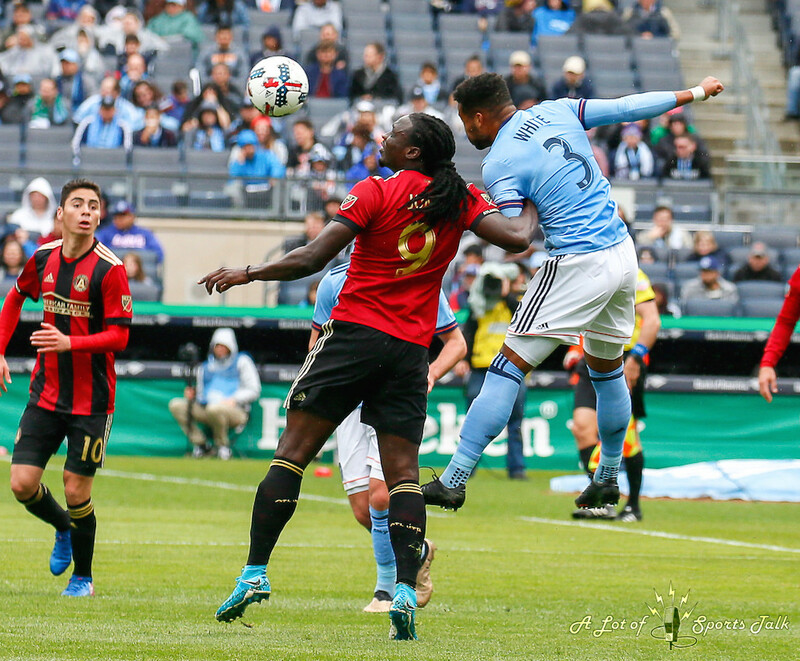 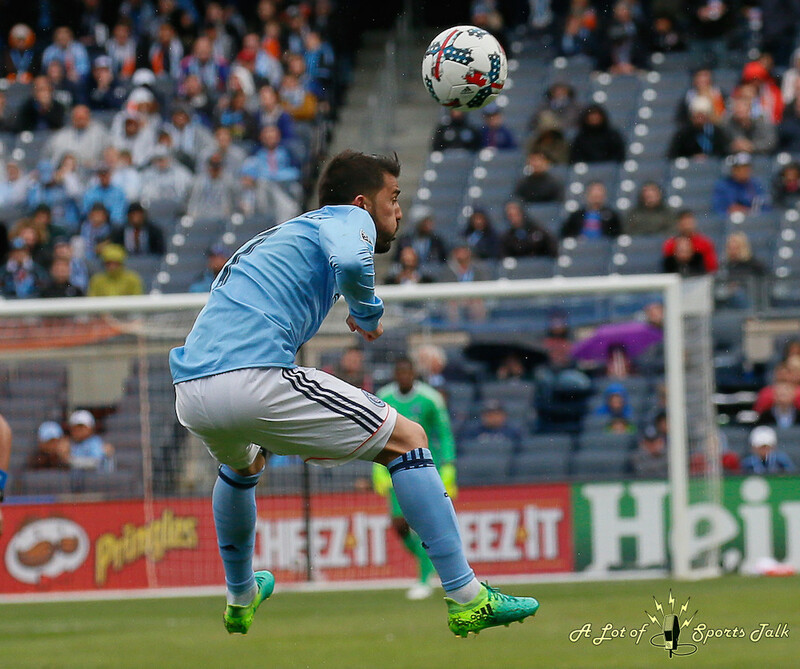 The second half was more like the first, with NYCFC dominating possession and creating many more scoring chances. 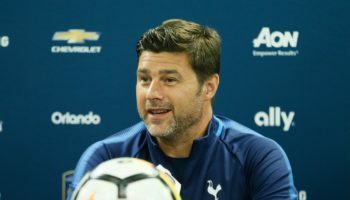 The breakthrough came on 60 minutes, albeit with a bit of fortune. 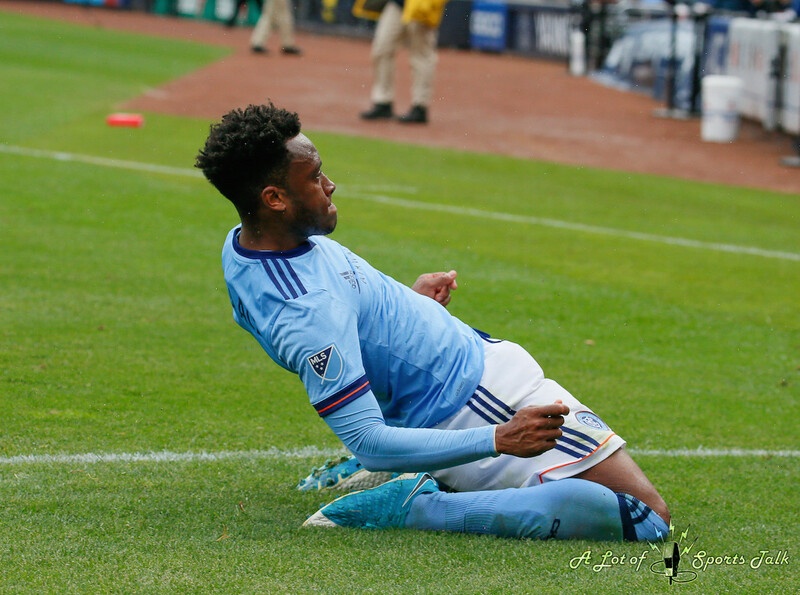 Full back Ethan White put in a low cross from the right side and into the box, and forward Rodney Wallace, while trying to right his footing to attempt a shot, actually saw the ball go off his heel. 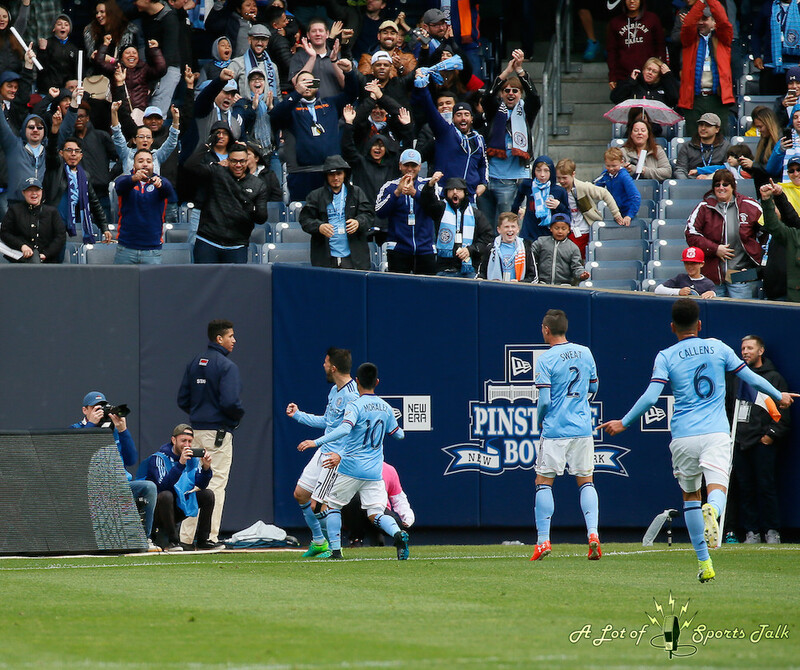 It actually turned into a sublime back heel goal – sublime if he meant it, fortuitous if he did not – which turned out to be the game-winner. 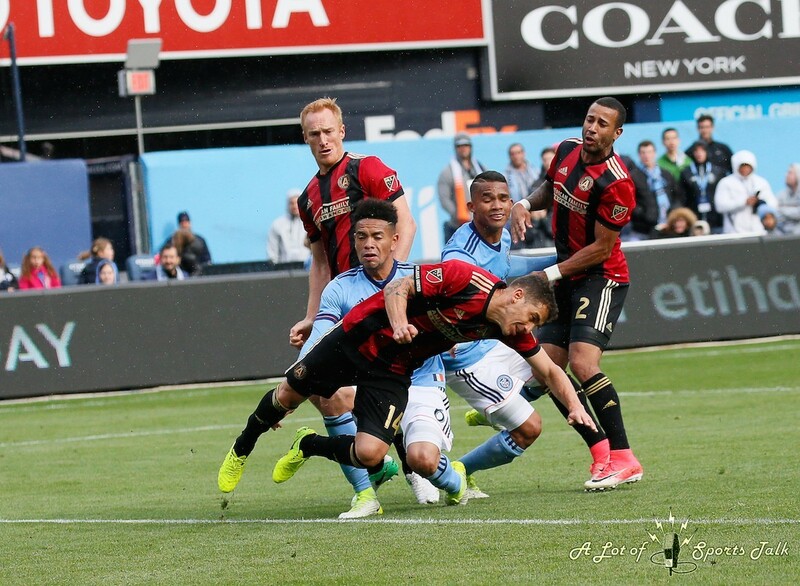 Less than two minutes later, Wallace then turned provider, as he set up Maxi Moralez’s run to the box, where he put in a side-footed effort past Atlanta United goalkeeper Alec Kann for a 3-1 lead. 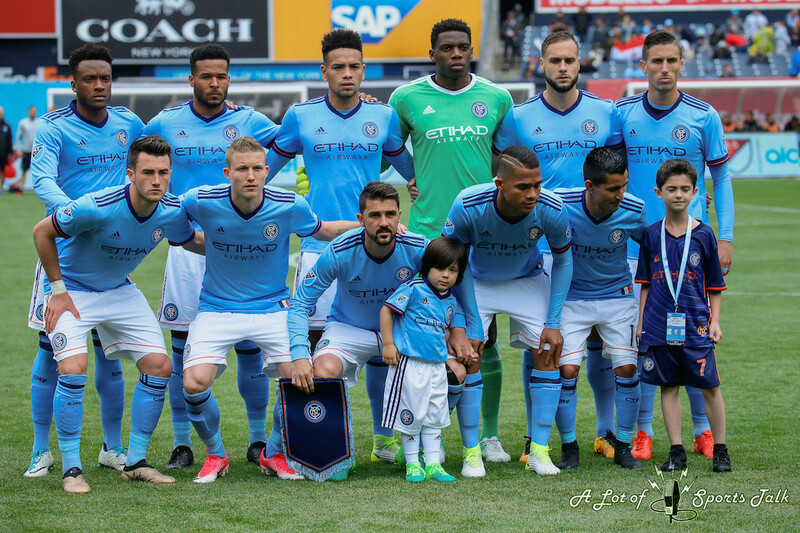 The win jumped NYCFC into third place in the Eastern Conference with 16 points after nine matches played. As always, our photographer, Robert Cole, was on the pitch at Yankee Stadium to provide us and our viewers amazing closeups of the action. 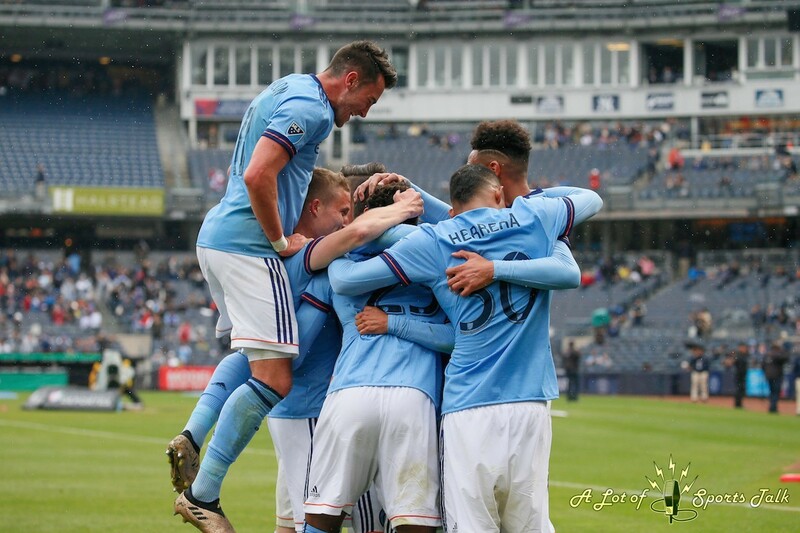 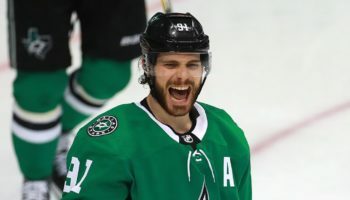 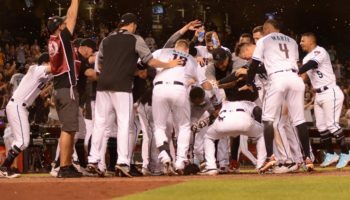 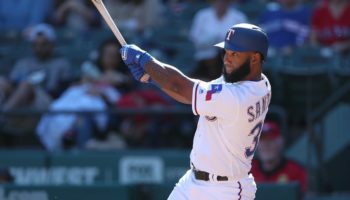 There are 33 photos in this gallery and, after clicking on the first photo to enlarge the picture, make sure to press the left and right arrow buttons to scroll through the rest of the pictures.